Muraho from East Africa! My name is Cameron and I’m a friend of Kate’s currently living and working in Northern Rwanda. As one of the first fans of The Burger Diaries, I jumped at the opportunity to offer the blog’s first international guest post. 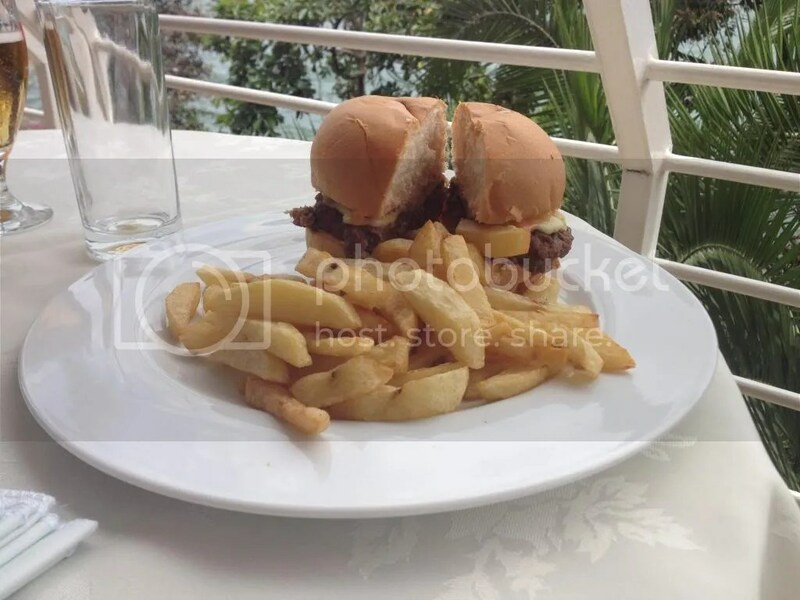 A quick Easter trip to Gisenyi seemed to be the perfect excuse for me to check out the burger at The Bistro at White Rock. When you walk up to the restaurant, you first notice the stunning view. 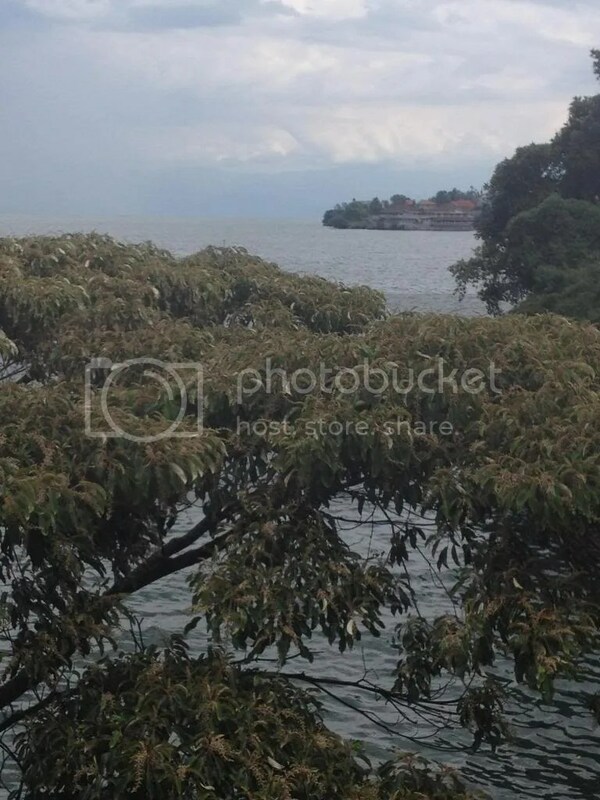 Most of the tables are located on the edge of a covered patio providing a scenic view of Lake Kivu and the Democratic Republic of Congo. The décor was tasteful with a nice blend of European and African styles that complemented the panoramic view. The White Rock menu only lists one burger, which is served with chips (french fries to you Americans), so I really had no idea what to expect. When the burger arrived, I was pleasantly surprised to find a generously sized patty and an enormous bun. The burger was served with your standard tomato, ketchup/mayonnaise sauce, and cheese. The patty was extremely succulent and tender with a unique blend of spices, but the bun was pretty bland and much too large for the burger. Rwandans know how to fry potatoes and the french fries at White Rock did not disappoint. They were simple and had the perfect level of crunchiness you expect in quality fries. Overall, the meal was simple and well-executed, but lacked the pizazz of some of my favorite American burgers. The atmosphere of the Bistro at White Rock outshone the burger, but I left the restaurant full and content. While I wouldn’t travel to Rwanda for this burger, if you’re in East Africa and start to crave a little piece of home, The Bistro and White Rock will definitely hit the spot. Thanks for the guest review, Cameron! If you are interested in reading more about Cameron’s time in Rwanda, I strongly recommend you check out his blog: http://muzungumusings.wordpress.com/. Interested in writing a guest review for Burger Diaries? Contact us! « Happy Birthday, Burger Diaries!